Héctor Beltrán is a doctoral candidate in the Anthropology Department and the lead for the Latinos and Tech Initiative at CLPR. He is a California native, born and raised in the San Fernando Valley in Los Angeles. Hector’s research combines his interests in Anthropology and Latina/o Studies with his training in computer science and engineering from M.I.T. On the ground, he works with young people developing technology platforms in the Bay Area and in Mexico. On the academic side, he thinks about the political economy behind the emerging tech startup ecosystem in Mexico and related organizations and hacking events, specifically those aimed at empowering communities and fostering transnational collaborations. 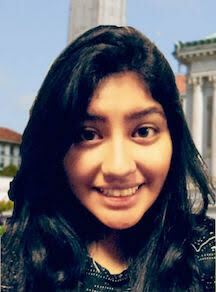 Yesenia Luis is a 4th year Applied Mathematics major. She hails from South Central Los Angeles, but moved to Berkeley to pursue her undergraduate degree. She joined the CLPR team in Spring 2016 as an undergraduate research assistant contributing to the Latinos and Tech Initiative and helping develop its Beyond Bootstraps Conference. Yesenia’s passion to increase diversity within STEM fields grew after constantly experiencing limited narratives in her math and computer science classes due to the lack of diversity. 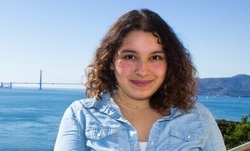 During her time at Cal, Yesenia has participated and contributed to the RAZA community, been an active member of the Berkeley Science Network, and mentored high school students of color at the YMCA’s Teen Center. A first-generation Latina, Yesenia will be receiving her B.A. at the end of Spring 2016 and hopes to continue the conversation surrounding the issues people of color face in STEM fields. 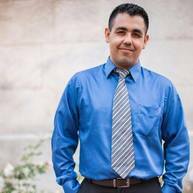 Ulises Serrano is a 5th year Political Science & Ethnic Studies double major. He is a transfer student that arrived in Fall 2013. 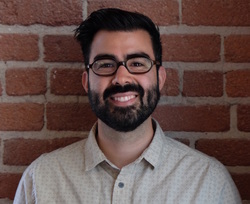 Ulises has been working with the CLPR since Spring 2015 and is working on the Latinos in Higher Education Initiative and the Latinos In Technology Initiative. He has been involved with various organizations on campus, such as: the Associated Students for the University of California (ASUC) in various capacities, the Raza Recruitment & Retention as an intern and Educational & Political Awareness Coordinator and currently as the Executive Director of the bridges Multicultural Resource Center. The work that he has done externally through his organizational involvement has informed his interests in regards to issues in higher education pertaining to diversity, especially when it comes to issues affecting students of color. Ulises will be graduating this upcoming Spring 2016 semester and will take a year off to figure out what program of study he will be doing for his Masters and/or PhD.